A very cloudy morning - I had hoped for fog, but it had lifted overnight. 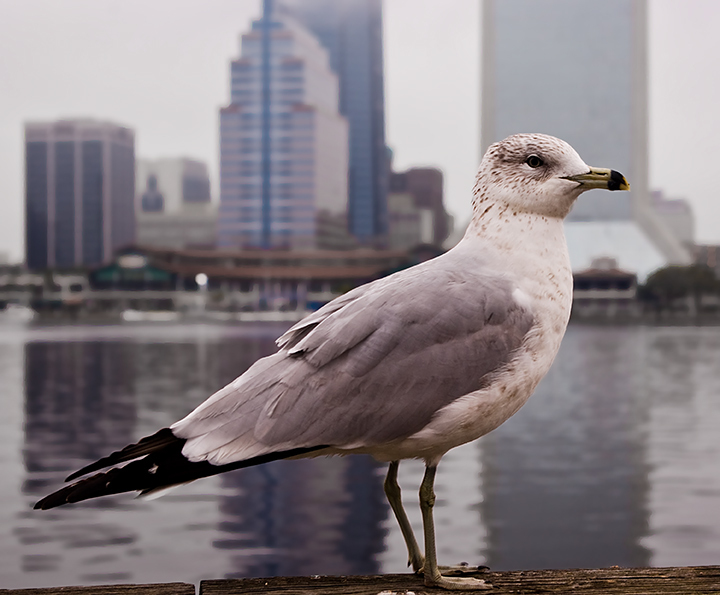 Instead of getting a foggy shot of downtown, I had to settle for this gull. He (She?) was very cooperative, as this was shot from about 5 feet. Hey, congrats on winning the first 18-55mm kit lens battle. It was a crappy challenge, but we stuck with it! lol. I like the focus and DOF. Nice. Proudly hosted by Sargasso Networks. Current Server Time: 04/23/2019 03:53:07 PM EDT.